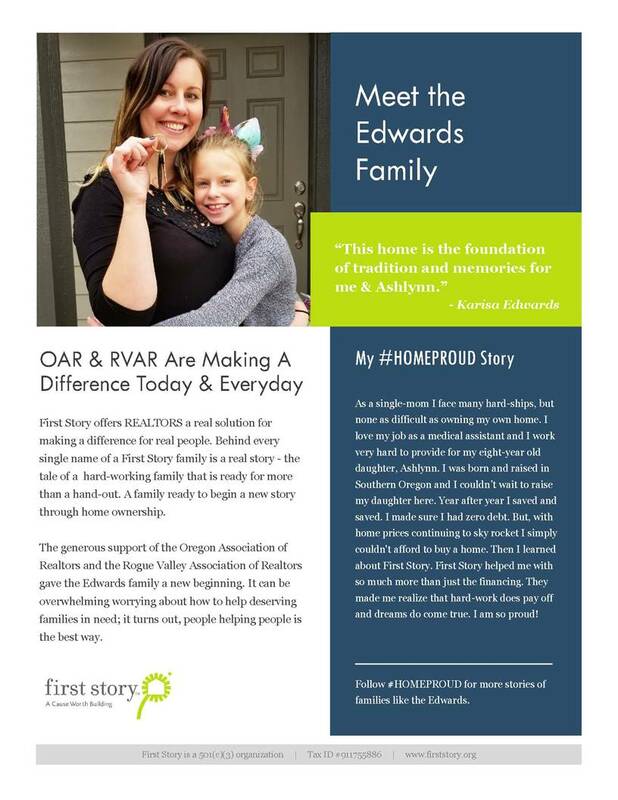 The Oregon Association of REALTORS® HOME Foundation is a 501(c)3 charity that provides financial resources to create, expand, and encourage home ownership opportunities for Oregonians at or below local median income. It also promotes awareness of affordable housing issues by educating Oregonians and their representatives about the barriers to home ownership and the resources needed to increase housing affordability. 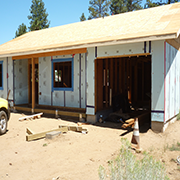 This Oregon REALTORS® charity gives members a way to give back to their communities. Because despite their best efforts, far too many people in today's workforce simply can't afford the American Dream. We understand that homes stabilize families and we want that to be achievable for more Oregonians. Your contribution to the HOME Foundation will help provide much needed funds to organizations dedicated to the development, maintenance, or repair of affordable housing. It will help educate consumers and real estate professionals and provide the tools they need to make homeownership more attainable. It will address both immediate and long-term needs through strong public/private partnerships. And most importantly, it will give more Oregonians the opportunity to make a lasting investment in local communities. Fundraising occurs year round with flagship events such as the Driving it HOME Golf Tournament in July and the Taste of Portland in September. And events held in local communities, such as the Rogue Valley Association of REALTORS® Food & Wine Classic in March, raise money that all stays right in their local area. “Getting the RVAR Grant has meant so much to us. We can now start a family in our home and have a place to grow old. Thank you for this life changing experience." Here are some photos of the Sisters Habitat for Humanity home that was the recipient of the Oregon Association of Realtors 2017 Home Foundation grant. The home is still under construction and will be completed in November. “Here are pictures showing how we are using the generous grant you awarded to MacHabitat in December. 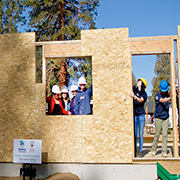 We have used the funds from you and YCAR for our 2018 Women Build project, where local women (and some men) are coming together to build and raise funds for a home for a single mom and her two children.” Mary P. Stern, Executive Director, McMinnville Area Habitat for Humanity. Grant applications are accepted through local REALTOR® association offices in October/November of each year. Grant amounts are determined by the HOME Foundation Board in December and checks are made available back to the local associations to distribute to the selected organizations. Send a one-time tax deductible contribution to build our fund. Commit to donating a smaller amount following each closed sale. Make an annual pledge of your continued support. Establish an interest-bearing escrow account with automatic contributions from deposited earnest money. When you give to the HOME Foundation, your tax deductible donation is well-utilized as over 90% of the money raised goes directly to grant recipients each year.